The Hearts of Iron 3 encyclopedia that you can edit. Country guides - Strategy guides specific to each nation. 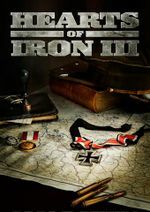 Mods - A list of playable HoI3 Mods. Mod guide - Tips, tricks, and utilities for creating modifications. This page was last edited on 21 March 2017, at 12:47.